Coski: "Capital Navy: The Men, Ships, and Operations of the James River Squadron"
Author John M. Coski is certainly correct in mentioning the burgeoning number of Civil War navy related works (esp. Confederate) that have surfaced since Capital Navy was published in 1996 by Savas Woodbury Publishers. He is also right to assert that his earlier work still stands the test of time (by the way, the author includes a note stating that the new paperback edition is a straight reprint of the original hardback with no additions. I wish more publishers would include such declarations, as I am always interested if new material is included, but feel it is just as important to mention to prospective buyers that the new edition is the same as the old). For the most part, readers expecting a book full of stirring naval battles will not find them here. Stalemate reigned throughout most of the war. The James River Squadron was really only involved in two significant or potentially significant engagements--an aborted Confederate naval attack in early 1865 (Trent's Reach) and a ship-vs-shore engagement in 1862 at Drewry's Bluff (even then the relative contributions of army and navy to Confederate victory were hotly disputed). Coski does not attempt a micro history of the squadron's fights, but he does provide well-written summaries backed up by several helpful visual aids (some more fine maps by Mark A. Moore). A suggested source for those seeking more detail dealing with Drewry's Bluff is Ed Bearss' River of Lost Opportunities. The core of Capital Navy is a well-researched history of the Confederate military-industrial center on the James River, and the civilians, officers, and men who supported its operation of building and maintaining the CSA's naval presence in Virginia. The navy's torpedo program is also discussed in some detail. Combined with the heavy use of channel obstructions, torpedoes contributed greatly to the lack of decisive action on the upper James after the Union navy was turned back at Drewry's Bluff. Coski keenly analyzes the successes and failures of the Confederate naval programs, along with the political, economic, and military factors behind them. Coski's paperback is beautifully presented by Savas-Beatie. Aside from the maps mentioned before, each chapter ends with a full-captioned photo gallery and many of the images cannot be found in any other publication. A nice bonus was the inclusion of detailed, multi-angle drawings of the squadron's ironclads (the details are speculative to some degree, however, as complete blueprints did not survive the war). Although certain elements of the Richmond naval experience can likely be read about in more detail elsewhere (or will be written about in the future), Capital Navy is as broad a history of the James River Squadron as we are likely to get. His book may be modest in length but, backed by an impressive range of research, Coski has included just about every subject of conceivable relevance to his study of the Confederate capital's naval defenders at a level of detail that will likely satisfy any interested reader. Capital Navy is highly recommended reading for Civil War naval scholars and enthusiasts. My local library system usually gets my interlibrary loan requests within 3-4 weeks (for free) and even offers to mail them to my house (also free). Journal articles of any length are also copied and mailed to my house for free. Well, free as in paying nothing above the high property taxes that support the libraries in general. Is this an unusually generous program or is it fairly common? I notice on several message boards that most posters mention having to pay a small fee for ILL books. Ranging from new releases to older out-of-print titles, these books have been either received as review copies or purchased since the last 'This just in' posting. They comprise the arrivals that look most interesting to me (at least superficially), and it's more than likely they'll all be discussed here at some future date. Feel free to comment (I haven't read any of them yet). I'll read just about anything having to do with coastal operations in the Carolinas. Storm over Carolina: The Confederate Navy's Struggle for Eastern North Carolina is another of a long line of Confederate naval histories by R. Thomas Campbell. Although he writes very well, Campbell's research is rather modest, based largely on official records heavily supported by various secondary sources (a survey of the notes also uncovers an unfortunate habit in places of citing quoted passages from published secondary sources rather than from the original documents). Like Campbell's other books that I've read, this is naval history written for a popular audience; and with that purpose in mind the author does his work well. 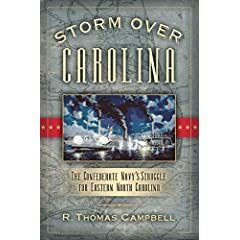 In Storm Over Carolina, chapters cover the Confederate navy's disastrous attempts to stem the 1862 Burnside Expedition and the later program to build ironclad vessels to prevent further inroads into North Carolina and to regain ports and waterways already lost. Published by Cumberland House, the book is a paperback of decent quality, with the text supported well with numerous photos, illustrations and maps. Several appendices provide researchers and students with rosters of the officers and men serving aboard each ironclad vessel. Supplemental primary source material is placed there as well. Smith & Sokolosky: "“No Such Army Since the Days of Julius Caesar” Sherman’s Carolinas Campaign: from Fayetteville to Averasboro"
The recent and near simultaneous release of two books detailing the March 1865 Battle of Bentonville seems to have signaled a renewed scholarly interest in William T. Sherman’s Carolinas campaign. With No Such Army, Mark Smith and Wade Sokolosky admirably fill the historiographical gap immediately preceding Bentonville. This period saw the movement of Sherman’s army into North Carolina, the capture of the great Confederate arsenal at Fayetteville, and the two-day battle of Averasboro. Smith and Sokolosky’s study creates a seamless transition to the work of Mark Bradley, whose two-volume study then guides readers on to Bentonville and finally to the end of the line at Bennett Place. The heart of No Such Army is a painstakingly researched and skillfully reconstructed battle history of the fighting in the fields, forests, and swamps south of Averasboro, NC. This excellent blow-by-blow account is further augmented by ten tactical maps. The detailed depictions of terrain and troop positions are a helpful guide for the reader, but the fact that the maps are not drawn to scale is a bit disappointing. Although most battle histories contain some analysis, they all too often lack depth and simply end up restating the obvious. Here, the authors, professional soldiers themselves, offer an exceptionally cogent critical analysis of the campaign and battle based on a framework developed by the U.S. army. While noting its flaws, the authors give Confederate commander William J. Hardee high marks for his battle plan and its execution. His triple-tiered, fortified defense in depth is credited with delaying Sherman’s advance long enough to give Joseph E. Johnston the time to concentrate his army for one last counterstroke at Bentonville. Although Smith and Sokolosky make a strong case, I’m not quite convinced of the overall wisdom of Hardee’s battle plan, which came off far better than he had a right to expect yet still only narrowly avoided complete disaster. On the Federal side, Judson Kilpatrick comes under heavy criticism for his battlefield performance. Reinforcing the conventional view of Sherman’s generalship, the authors praise his operational and logistical performance but find flaws in his battlefield decision-making (but then again most successful Civil War generals weren’t brilliant tacticians). Nevertheless, it is difficult to imagine Grant hesitating to attack Hardee’s third line in the waning moments of the battle’s second day. 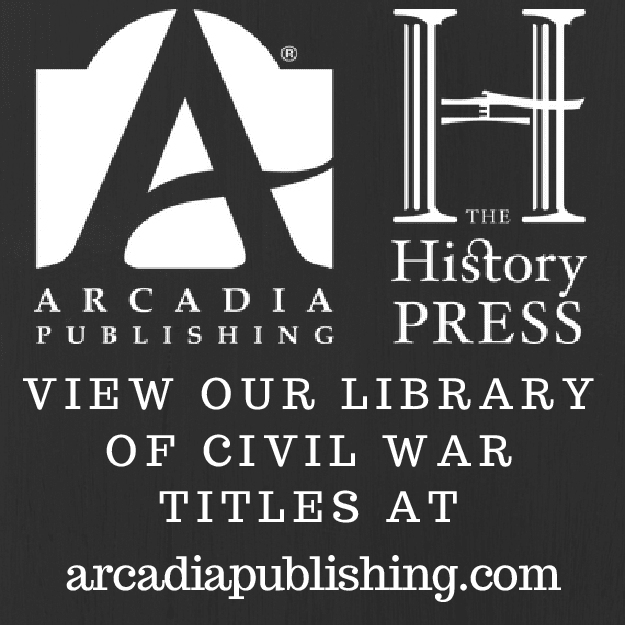 Like all volumes in Ironclad’s Discovering Civil War America series, a driving tour of the battlefield and surrounding area is included. 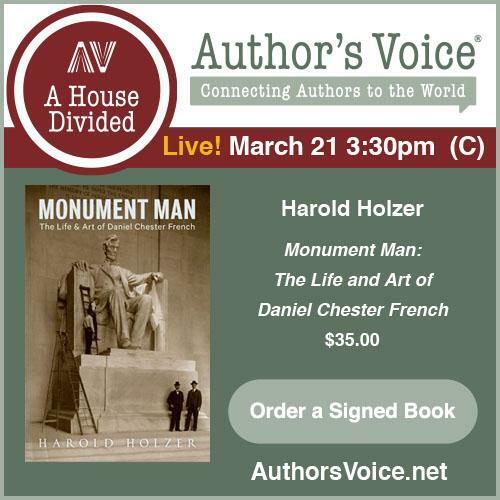 The text and the tour are thoughtfully supplemented with numerous photos and drawings. Additionally, several appendices are included, covering a wide array of subjects from campaign logistics to field hospitals. 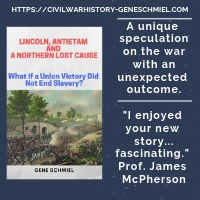 No Such Army should be considered the definitive treatment of the subject period and an essential volume for the bookshelf of any reader interested in the 1865 Carolinas Campaign. In October (yeah, a long ways off), University of Alabama press is publishing a book by Buckley Foster called "Sherman's Mississippi Campaign". Unfortunately, the press's website keeps giving me an error message when I search for it so I can't find any details at the moment. I wonder if it covers the 1864 Meridian Campaign or the 1862 Chickasaw Bayou fiasco...or maybe something else. Thanks to Brett for pointing out an upcoming Red River Campaign book by well known expert Gary Joiner. It looks like a early Fall release for Through the Howling Wilderness: The 1864 Red River Campaign and Union Failure in the West. 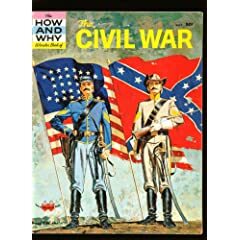 From the publisher description, the military subject matter appears similar to that covered in his earlier work One Damn Blunder from Beginning to End, especially the emphasis on Confederate defensive measures, but presumably it will be more detailed. Other areas of concentration seem to be the military and socio-political consequences of the campaign, for the rest of the war and into the Reconstruction period. The jacket blurb hints at an evaluation of combatant attitudes as well and perhaps we shall see some research into A.J. Smith's "Gorillas" as a prelude to the full study to be undertaken in the future by Steven Woodworth. I'm looking forward to this one. I remember rereading this thing a number of times. Townsend: "The Yankee Invasion of Texas"
Stephen A. Townsend's The Yankee Invasion of Texas (Texas A&M University Press, 2006) is a concise history of the Union's Rio Grande Expedition, and a great companion piece to related works, such as David C. Edmonds' Yankee Autumn in Acadiana and Richard Lowe's The Texas Overland Expedition of 1863. These books recount the land thrust into NE Texas via Louisiana, diverting Confederate men, attention, and resources from the Union naval expedition to the mouth of the Rio Grande. Ed Cotham's Sabine Pass also should be read by those interested in learning about 1863 seaborne operations off the Texas coast. 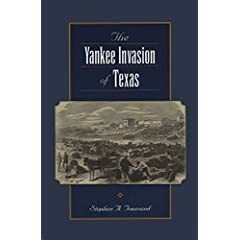 The bulk of The Yankee Invasion of Texas covers the period from October 1863 until the Spring of 1864, when most of the Federal troops were withdrawn. The expedition was highly successful in seizing the mouth of the Rio Grande and hindering the cross-border cotton trade with Mexico. Troops then were sent up the coast, defeating Confederate garrisons, occupying the barrier islands, and closing down ports up to the Matagorda peninsula. There the offensive fizzled out. The book illustrates the typical pattern of early success of Union coastal operations against unprepared Confederate positions with weak garrisons followed by consolidation and general inaction. The commanders on the ground and the higher military and political leadership cannot agree on the next step in planning and impressive gains go unexploited. Success is not reinforced. Soon the cries for concentration at "more active fronts" lead to demands for the withdrawal of troops from the coast. Inland advances by disposable forces are either defeated or are too small to perform useful tasks, only reinforcing the higher command's view of the situation and desire for withdrawal and troop concentration elsewhere. Failure becomes self-fulfilling. Yankee Invasion is a thin volume that yields more than enough depth of information inside to satisfy a wide range of reader interests. The military aspects of the invasion are detailed enough to please demanding students and the author additionally provides useful summarizations of the invasion's political and economic contexts. Townsend enlightens readers with his discussion of Texas unionism. He also points out the critical importance of the border trade and the complex motivations of the Hispanic population on both sides of the border (with French and Mexican pro-Imperialist concerns thrown in). It really is a great read, combining a high degree of scholarship with engaging prose. Highly recommended. Ken Noe hits the nail on the head in his comment on Eric's blog that a significant problem in discussing New Military History is that there is no accepted definition of the term. How inclusive is the term meant to be? Depending on your definition, Noe's excellent study of the Perryville campaign can probably be placed in either "camp" -- Eric has it as a traditional military study while Kevin Levin marks it as a good model of New Military History. In my mind, NMH is defined as the attempt to broaden the examination of military history as much as possible, integrating into the narrative all manner of societal issues such as politics, economics, race, gender, class, and regional considerations. Strategy, operational movements, and tactics are not the focus of the narrative, but rather another contributing element perhaps no more prominent than the other considerations mentioned above. To me, the most representative example of New Military History is George Rable's Fredericksburg! Fredericksburg!. I think I counted pages and found less than 20% of the book was devoted to a tactical overview of the fight. Of course, simply counting pages to determine relative importance is ridiculous, but it gives you some idea of where emphasis is placed. Back to where Noe's Perryville (or the equally great Wilson's Creek history by Piston & Hatcher for that matter) study fits into the spectrum, I would maintain that the firm centerpiece of both books is what we could call traditional battle history, with other issues placed in a 'supporting role'...NMH-lite to perhaps put it crudely. Noe puts it well himself "I attempted to bring elements of the “new military history” into a traditional narrative that would appeal to academics and non-academics. I’ve been praised and criticized both for not doing more of that. Frankly, I found the traditional framework darned seductive." If NMH can be interpreted broadly enough to include these two books, then I don't believe the concept to be worthy of generalized scorn. "The Siege of Fort Macon"
I just finished Paul Branch, Jr.'s The Siege of Fort Macon (Griffin and Tilghman: New Bern, NC. 2002 revised and expanded ed. - 10th printing. Maps, photos, drawings, notes, garrison roster. pp. 168) and it's an impressive little book. Branch, the park ranger-historian there at the fort, writes well and the material is deeply researched. As the guardian of the port of Beaufort, Ft. Macon was an important target of Ambrose Burnside's 1862 North Carolina expedition. Much like Ft. Pulaski, Ft. Macon could not withstand the power of modern rifled artillery. Poor planning and equipment only made matters worse. Once the bombardment commenced, the fort fell quickly to Union forces under the immediate command of John Parke. The Siege of Fort Macon appears to be about as complete a description of events as we are likely to get. The month-long series of operations that led to the isolation and reduction of the fort are described in minute detail and supplemented by useful maps and well-chosen drawings and photographs. Sure it's a narrow interest subject, but it's so well done that I think anyone interested in the conduct of coastal military operations would profit from reading this book. This latest softcover edition includes a great deal of new information from previous staple-bound pamphlet editions, so it's worth revisiting if you already own an older copy.